You may have noticed that every 1-2 days you have to re-authenticate to SharePoint Online. This is the result of an Office 365 security feature that defines a 10 hour SharePoint cookie expiration. This authentication behavior is different to BPOS SharePoint Online, where users would be prompted to authenticate one time only. 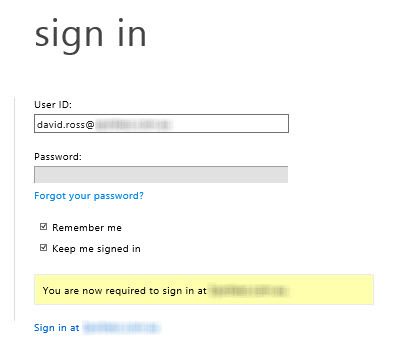 If you have come from BPOS, this change in SharePoint authentication behavior is probably undesirable. If you were excited about a transparent ‘single sign-on’ experience with AD FS 2.0 and Office 365, you might even be a little disappointed. The solution to the problems described above? Deploy Smart Links. In short, Smart Links provide users with an improved login experience when accessing any browser based Office 365 services, including SharePoint Online. The result is a seamless and faster authentication experience. There is an Office 365 wiki article that describes what a Smart Link is, as well as an overview of the process to generate them. This post will hopefully make your Smart Link deployment a bit easier by explaining the Smart Link generation and deployment process in detail. The method described is a little different to the Office 365 wiki method and is more efficient if you have to create a large number of Smart Links. Note: If a Single Sign-on experience is your goal, Smart Links are only useful when you’re using AD FS with Integrated Windows authentication. If you’re using Forms Based authentication, you will gain the advantages of a faster authentication experience and eliminate the home-realm discovery process, but SSO will not work. In other words, SSO will work for users on your internal network that are authenticating with the AD FS farm servers, but not for external users that authenticate via the AD FS proxy. This is the base URL that will be used to create the Smart Links, whether you’re creating 1, or 100. Once we have generated our Smart Links, we can deploy them using a 302 redirection service and a vanity URL. The method described below uses IIS 7 to provide the redirection service, although there are solutions that can provide this service. 5. Select a ‘Physical path’. e.g. C:\inetpub\temp. This will not be used. Now, if you attempt to access your vanity URL in a web browser, you should be authenticated and redirected to your SharePoint site. Great article, Couple of questions – if you have 100s of smart links, do you need to create 100s of IIS web sites? Also, does smart links works for document library or document URLs when one user shares information with others or does it work only for sites? Also, is there any automated tool for smart links generation? 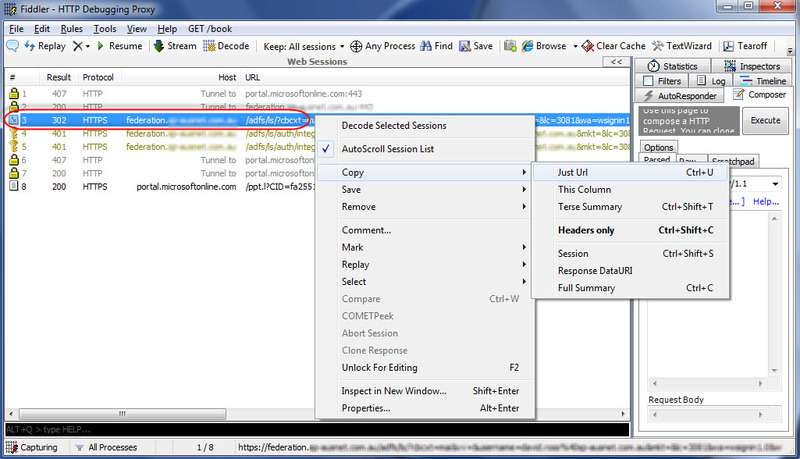 Any idea how to do this with ADFS 3.0 / Server 2012 R2 which doesn’t use IIS? To implement Smart Links as described in this article you will have to setup a new IIS website hosted on a server on your internal LAN, separate from your ADFS infrastructure. You will then update your internal DNS records to direct users to your IIS server configured with Smart Links as described in this article. The reply/redirect is different than O365. it is working for most part. the only part that is not working is the redirection to the correct site URL. the site i want to redirect it to is https://contoso.sharepoint.com/sites/test. any idea what I am doing wrongly?